This is your opportunity to have questions about golf in general or your golf game in particular answered by a PGA Professional. Having swing trouble? Still fighting that slice? Missing short putts? 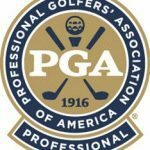 Ask the PGA Pro! Approximately once a week, your questions will be answered here by one of the participating PGA Professionals from Golf SouthWest. This week, Kim Brown, PGA Master Professional at Keeton Park in Dallas, Texas will be answering your questions. Brown is also President of the Northern Texas PGA. Ben Zera of Tallahassee, FL, USA asks: What is the best golf club in your opinion(brand name)? Kim Brown: No such animal as the “best”. Most manufacturers have some high quality products and some that are more marketable than others. You really cannot go wrong with Ping, however, because of their high level of quality control. 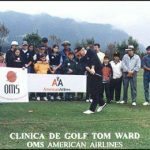 Randy Bowman of Talbott, TN asks: What (non-playing) career opportunities are available in professional golf – especially the professional golf tours (PGA, LPGA, Senior PGA, Nike, etc.)? I have written to each of these organizations and only received a standard form letter in reply. Kim Brown: Your best bet is sports administration or rules. Both are very competitive and rules is not what I would call a financially rewarding position. Try E mailing ntpga_ck@msn.com and refer your question to Darrell Crall. Andy Smith of Carthage IL writes: I always seem to hit the ball right no matter where I am aiming. Someone told me I was swinging inside-out. Do you have any other reasons? Kim Brown: Obviously, the clubface is open at the moment of impact. Try “pinching” your elbows together at the moment of impact after making a significant shoulder turn on the backswing. Do not “slide” forward with your upper body but simply coil and uncoil. Richard Voitier of Baton Rouge, LA asks: With shaft stiffness ratings usually being light, regular, firm, and strong, what are the clubhead speeds usually associated with these ratings? Jesus Gonzalez of Santo Domingo, Dominican Republic writes: I have a regular shaft Callaway Big Bertha Driver, and I don’t understand how come I get more slice with this club than with any other. My swing is very violent and fast, but I don’t get that much slice with my Yonex graphite regular irons. Also, my wife wants to know which is the best titanium driver for women. Thanks. Kim Brown: Curvature of your shots will not ever be as pronounced with an iron as it tends to be with a wood. Sounds like your big bertha is much too flexible for your swing. My advice, as long as you are getting your tee shots up in the air pretty good , get a stiffer shaft put into your driver and take a lesson from a PGA Professional on that “violent” part of your swing! People are raving about Great Big Berthas, Cobra “Ti”, Daiwa Titanium Drivers, and the Taylor Made Bubble for ladies. There are a lot of good ones. Gordon Shattuck of Grand Rapids, MI writes: To become a professional golfer…don’t you have to attend Q school in Florida to attain your pro card so you can participate in pro tournaments? 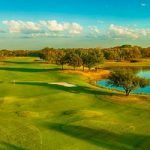 Kim Brown: Why don’t you contact the Northern Texas PGA for help in this area. Their e-mail address is: ntpga_ck@msn.com Thanks! Carl Golber of London, Ontario writes: I don’t belong to a Golf Club but rather play numerous public courses and have gotten my game to where I shoot in the 80’s most times. I’m looking to get some new clubs. Right now I use steel shafted clubs and was thinking of getting graphite . Others have told me that the flex of the shaft is important and my swing needs a stiff flex. What’s the difference ? Are stiffer shafts better, worse or just something on adapts to?Thanks. Kim Brown: Please understand that shaft stiffness can be the same whether the shaft is steel or graphite. The main point of graphite is to lighten the overall weight of the club while maintaining relative stiffness. Usually, the lighter the club, the more easily a player can handle a fairly stiff club because they can still “get through” their shots with the light club. That has been Ping’s focus for 20 years-selling light but stiff clubs. The lightness allows good “clubhead speed” and the stiffness insures maximum control and reduced curvature of the shots. I can’t tell you whether you need stiff or regular flex because the main decision factor there is how your shots react to the different flexes and weights. If your shots go too low or to the right and the club feels like a log, the shafts are probably too stiff. Doug Petersen of Albert Lea, MN writes: I am left handed and I have a really bad hook that goes low to the ground. What can I do to correct it? * You may be leaving your weight on the left foot too long (try to uncoil your body to the right foot on the follow through). * Swing to a high finish position and HOLD the finish for a 3 count when you practice. * Get a PGA Professional to check out your grip and set up fundamentals. Many times a bad set up leads to swing flaws. Are Cryogenically frozen golf balls and golf clubs legal in PGA play? Kim Brown: No clue. However, you can refer to the USGA “approved list of golf balls” to know which balls are legal to play. Kim Brown: David, I am usually pretty good at giving some appropriate advice via E mail. However, it sounds like you need some personal attention! You are welcome to call me at Keeton Park at 670-8784. In the meantime, don’t dwell on your putting as so much of it a mind set, and putting is the easiest part of the game in terms of physical ability which it sounds like you have plenty of. Good fundamentals combined with confidence combined with a certain amount of luck is putting. Good putting also requires a realistic set of expectations in regard to the putts you “should” make, etc. I would be glad to work with you if you want. Truman Tinsley of Griffin, GA asks: Tom Addis III Pres. PGA of America. Is this the same Tom Addis I took golf leasons from @ Singing Hills Golf Club in El Cajon, Calif. back in 74-75? Kim Brown: The very same Tom Addis, YES. Chuck Vassallo of Brockton, MA writes: I was watching an instuctional tape by Greg Norman and when he was instucting on how to hit a hook around a tree I understood it but when I set up with a very closed stance my hips and shoulders want to follow. My question is if I keep my arms as they were and now I move my body to point 30′ past parallel of the flag my grip v’s point outside my shoulder and hip wouldn’t you correct for this very closed position and hit the ball your normal way and be 30′ to the right of the flag. The most basic way to complete this shot is to align EVERYTHING except the clubface to the right of the target and to make the swing path also be to the right of the target (just like you were trying to hit the ball 30′ right). The fact that the clubface is pointed at the flag (left of swing path) will cause the ball to curve in that direction, all other factors being constant. The KEY is to make sure you visualize a swing that will propel the ball 30′ right of the target and do not do anything to the swing to manipulate the ball back to the left other than setting up with the clubface in the direction of the flag(left). Good luck and glad to hear from you again! Gary Snyder of Ellwood City, PA writes: Actually my question isn’t about my swing or how to hit a particular shot, (I’m left handed so it’s always backwards anyhow). I would like to know how to become a PGA Pro and what steps to I need to take to get started. I love the game of golf and am prepared to do whatever it takes to become a PGA Pro. I give lessons now to friends and try to help whoever I can but I would like to do it on a professional level. I’d like to thank you in advance for taking the time to read this and I hope you have time to help me. Thanks again. Kim Brown: Gary, Becoming a member of the PGA can sometimes be different than just “becoming a pro” in that many people just declare themselves professional. However, it is the right path to want to become a certified member of the PGA if you are serious about a long term career in golf. 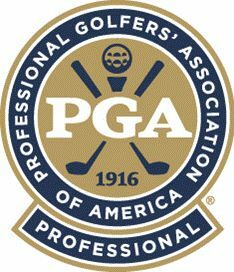 The PGA of America has a document that describes the entire process which you can obtain by calling (214)881-GOLF. 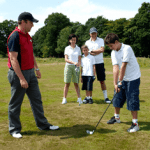 Generally, you need to first get a job as a club professional or an assistant professional either at a course or teaching facility or practice facility and be employed full time in the profession. Then after working a minimum of 6 months and passing a playing ability test you would attend the PRO (Professional Readiness Orientation). If you then elect to enter the apprenticeship program, you would need to complete the GPTP (Golf Professional Training Program) which is a series of steps which include on the job training, seminars, testing, etc. which will be fully explained in the material the PGA will send you. The whole process takes a minimum of 3 and 1/2 years and a maximum of 6 and 1/2 years to become a PGA member. I wish you the best of luck with your endeavors. Patty Specs of Oceanside, CA writes: Hi, I have a real problem hooking the ball. I don’t know if it is my stance or my grip. I used to fade the ball but now I can’t seem to it the fairway. I’m about a 20 handicap. Please help. 2) I assume quite a few of your shots actually start out too far left which probably means the “path” of your swing is moving left at impact. 2) Shoulders may be “open” or left at address. Try to “close” them or point them to the right more. 4) Make sure you complete the follow through with your body insuring that your upper body ends up facing the target at the finish and then “hold” that position for a 3 count. (the goal is to keep the hands from swinging “ahead” of the body and for you to feel the appropriate balance and finish position by holding it). If you are ever in Dallas, give me a holler at (214)670-8784 so I can take a look. Good luck. Chuck Vassallo of Brockton, MA writes: This is my first full year of golfing. If I want the ball to bite on the green when hit with an iron where on the ball do I hit or do I sweep under the ball where grass and ball meet. I’ve heard you hit the ball at the meridian but have not been able to validate this. I have been hitting ball without divots. Chuck Vassallo of Brockton, MA writes: This is my first Full year of golf. I’m playing once a week. I hit once a week at the driving range and have good club speed. My stature is 5’4″ I hit consistantly with my irons 9 iron 100yds, 3iron 170. My woods don’t seem to be proportionally longer. With a driver I’m hitting best 190. My question is can I expect to hit the ball further or is my height keeping me at this distance. Kim Brown: Chuck, What you are experiencing is typical of someone that has not played that long. All the clubs seem to go the same distance at first. I would speculate that although it may not be possible for you to create as big an “arc” in the swing at your height, that your potential for gained distance throughout you set is still good. Look an Ian Woosnam (about 5’6″ tall and hits the ball 300 yards). Les Kahn in Shelbyville, IN writes: Although I hit my irons a reasonable distance, for example my five iron goes 175 to 180 yards, when I hit my driver I really struggle to get more than 220 yards at best. This really puts me at a serious disadvantage in my Saturday foursomes, as I always hit first from the fairway. Please help. 1) Check to see if you finish on balance on your left side at the top of your finish as well with your woods as you do your irons. 2) Check to see if you get 80-90 percent of your weight on your right side at the top of your backswing. You should “coil” to get to the right side, not “slide”. 3) What kind of irons, woods do you play? 4) I would MOSTLY bet that your shoulders are more open or pointed left of the target line with the driver than with your irons because of the length of the shaft. Try closing your shoulders in order to facilitate a better shoulder turn and THEN swing all the way to a good finish. Leslie Kahn in Shelbyville, IN writes: I have an 8 handicap and have been playing for twelve years. I was taught that my ball position should be about even with my left heel with the driver and move back towards the center, getting to the center with the wedges. Simultaneously I was told to start with a slightly closed stance with the driver and changing gradually to an open stance with the wedges. Here lately I have noticed with concern that I seem to be hitting the shorter irons almost fat. Certainly hitting the turf before the ball. Any recommendations? Kim Brown: Leslie, maintaining a consistent posture is the most important aspect of determining ball position in your set up. Your posture with driver should be the same as with a 7 iron for example. If you simply set up in a good posture and bend slightly forward at the hips, wherever the club hits the ground (assuming proper alignment of the feet, hips, and shoulders), that is where you should play the ball in your stance. Maintaining spine angle throughout the swing and keeping “quiet” hands on the club will prevent you from hitting fat shots. Most of us either change our spine angle during the swing or manipulate the club with our hands. Good luck.